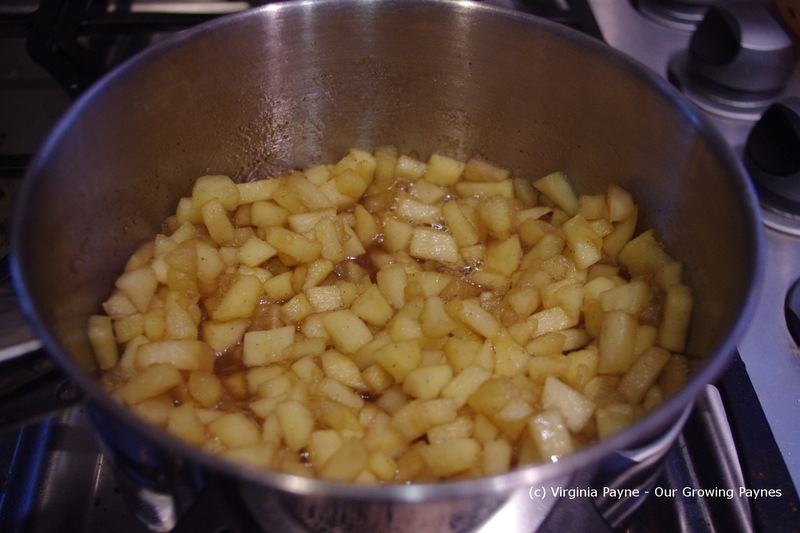 I like to make my apple jam like apple pie. The best part of apple pie are the spices. 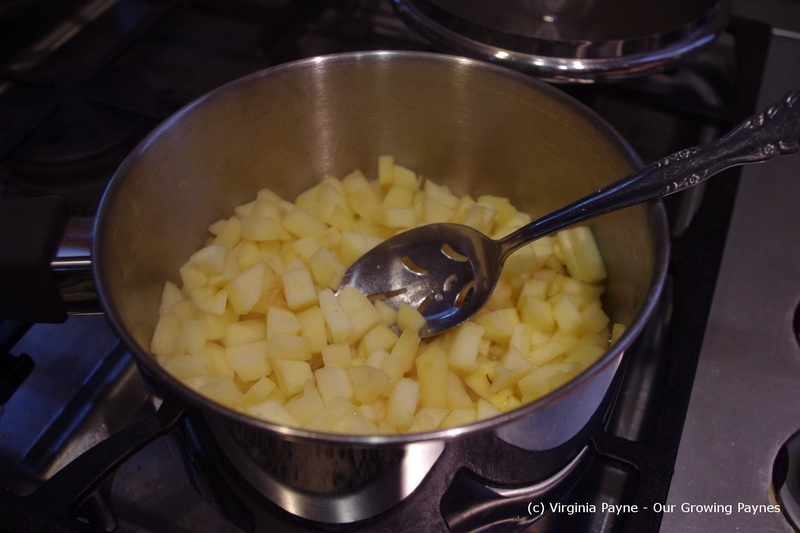 You can also use up apples that might be nearing the “past it” stage, this way they don’t go to waste. I chopped up 5 apples for this as it was only for a cake. 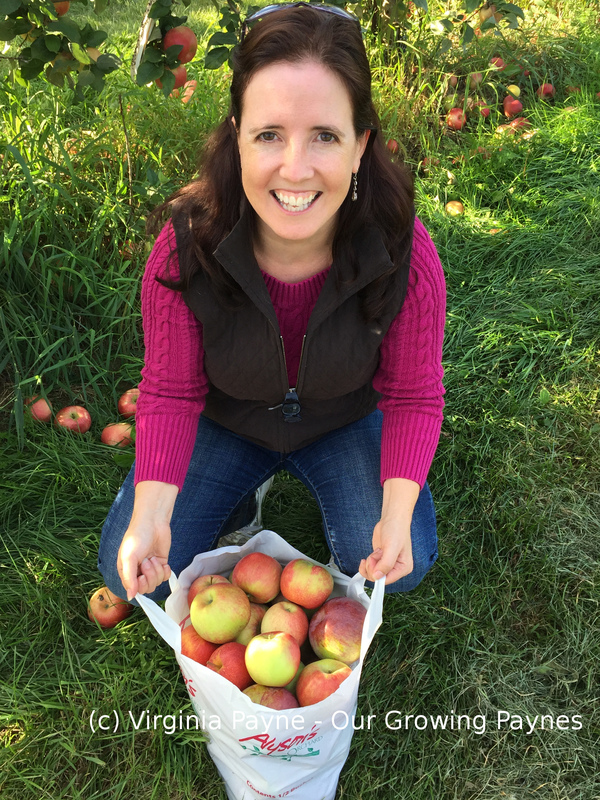 If I want to can I use a ton of apples. 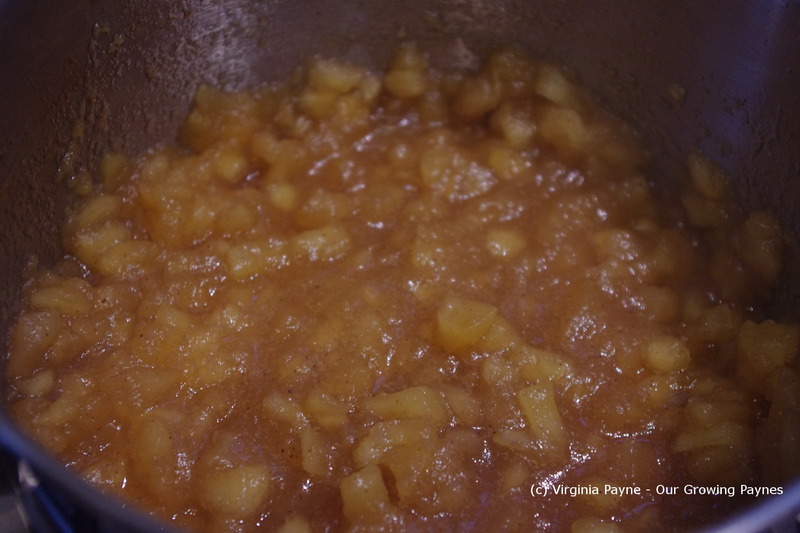 In a medium sauce pan I simmered the apples with about a cup of apple cider. As it starts to reduce I add my spices. 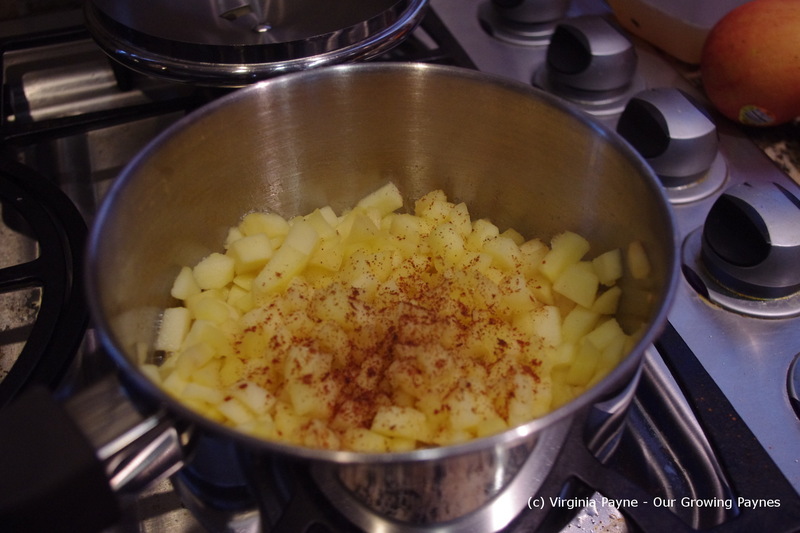 This time I added some cinnamon and nutmeg with a bit of ground clove. Add the spices you want as this if very much subject to taste. 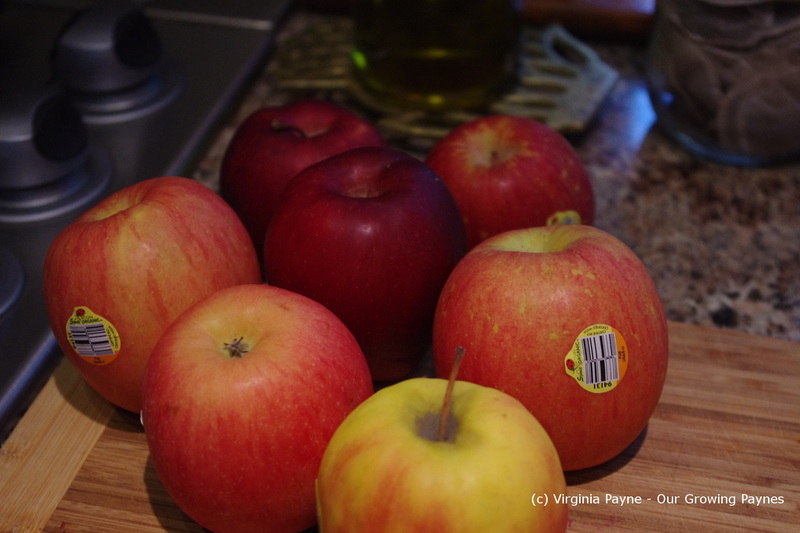 This entry was posted in recipes and tagged apple jam, apples, cooking, food, jam, vegetarian. Bookmark the permalink. Very good idea to use jam as a cake filling instead of more frosting. I’ll definitely bookmark this recipe. My family doesn’t like overly sweet stuff so I’ve always used my homemade jams. That way you get a nice flavour contrast. Thank you. 🙂 I love it when my kids make requests like this. I make apple sauce for a boy that lives upstairs. He’s not one for sweets. I bet he’ll love this. Thanks for sharing your recipe.